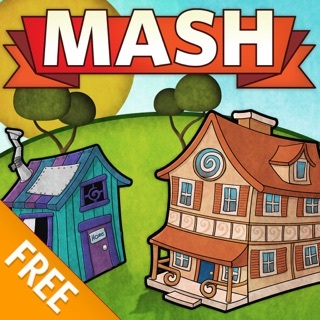 This game is great and I love playing it. There was one problem, and I found a solution after testing my ideas. The problem was that when pouring the batter, sometimes it would not stop pouring when you released the button. 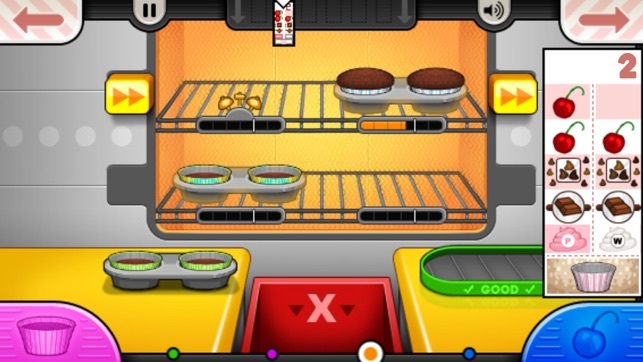 Also, when at the oven, the cupcakes that are finished will stay in the oven, even when the player drags them over to the “Good” slot. This plunder in the game is caused when the phone has too many app windows open. So, to solve your problem, double click the home button, and clear all the excess windows. Also, one other thing before I go. 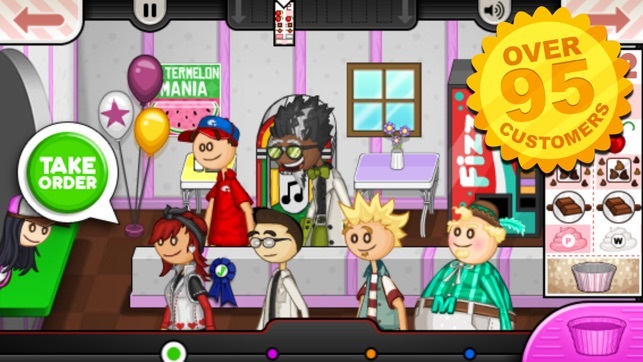 I was wondering if you could update the game where we can customize our characters. Also, please add Papa’s Donuteria! That is the only one out of all the Papa’s -ria games that the makers have not published. 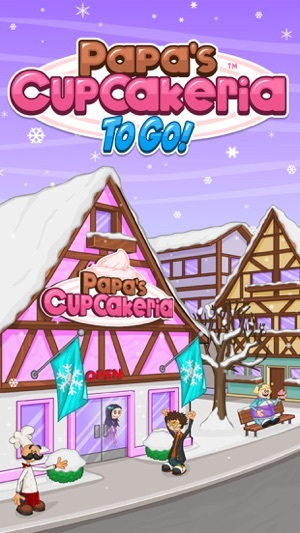 I love this game, I’ve always played the Papa’s -ria games every time a new one came out, and Cupcakeria has always been my favorite. 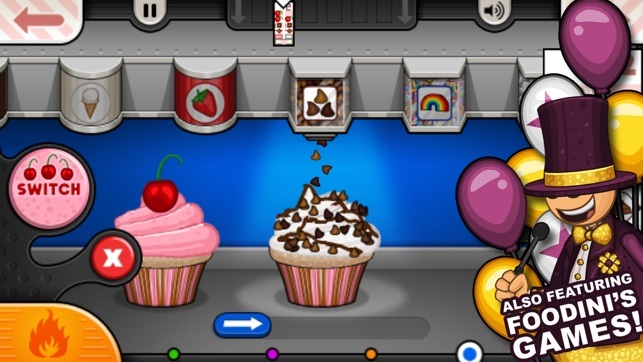 But i love the addition of the daily specials in the other versions like Cheeseria and Scooperia. Could the creators please have an update where they add the daily specials to this too? I think it’d make the game a lot cooler and add more to do. Thank you, otherwise, overall it’s still a great game with really good quality! !